Between 3rd and 7th December, 34 Network cinemas in 27 Member States will host the first edition of the “European Cinema Night”, an outreach project sponsored by Creative Europe - MEDIA Programme and co-organised with Europa Cinemas. During a special evening, the participating theatres located in 34 different cities will screen over 20 European films of their choice which received MEDIA support over the last two years and the event will be prolonged by Q&As with film talents or critics. For instance, Filmcasino in Vienna will present this year LUX PRIZE winner WOMAN AT WAR with director Benedikt Erlingsson; COLD WAR will be screened at Cines Princesa in Madrid introduced by scholar and historian José Luis Villacañas and in Krakow, at the Kino Pod Baranami, director Agnieszka Smoczyńska will attend the screening of her second film FUGUE. 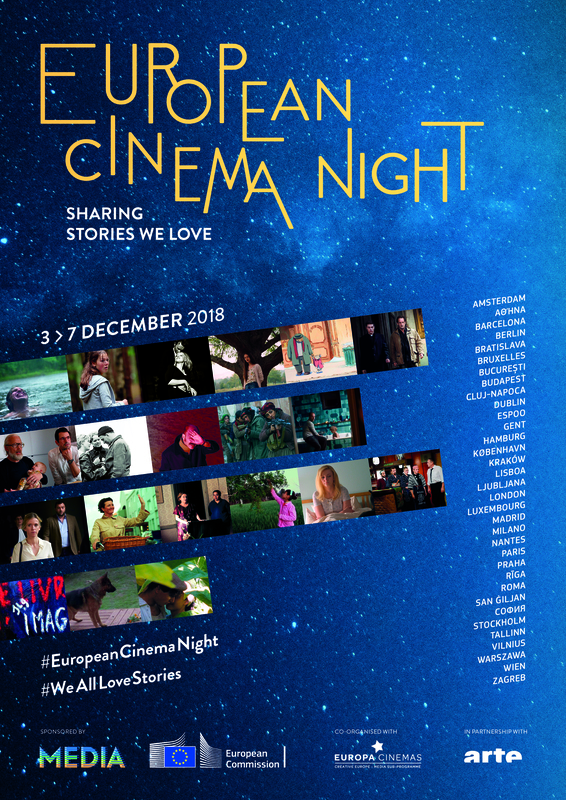 The audiences of the European Cinema Night will be able to sense that they belong to a larger, diverse community through a celebratory locally-grounded and connecting experience which sheds a light on the European Commission’s involvement to support the distribution of European productions. Thanks to the MEDIA Programme over 400 films are made available across Europe every year. Discovering films such as COLD WAR, THE KILLING OF A SACRED DEER or BORDER in such a context makes for a tanglible example of how European funds can shape local communities and connect Europeans in different countries!